Location: Duboistown Fire Hall, 2651 Euclid Ave, Duboistown, PA. 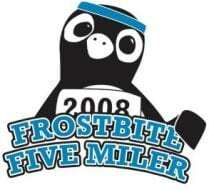 Entry Fees: Pre-registration is greatly encouraged! AWARDS: Top 3 overall male and female runners and top 2 overall male and female walkers. Age group awards will also be given for runners and walkers, depending on registrations. All participants are welcome to the food and refreshments, as well as a giveaway for door prizes!